Boston’s Back Bay is ideal for those who wish to live in the center of it all while still maintaining the traditional brownstone or mid-rise condo nestled among quiet streets lined with blooming trees and warm cafes. The green copper roofs on many of the historic structures accent the rich red and brown bricks of the buildings. Back Bay has maintained the traditional Boston charm it’s been known for despite the abundance of new construction and additions to the neighborhoods retail and restaurant scene. The Back Bay is considered a the mecca of luxury residences among Boston’s elite homeowners. Step outside and there is a good chance of seeing one of Boston’s many celebrities, athletes or musicians who call the Back Bay home. Prices range from $1,000,000 and have recently eclipsed the $40,000,000 in the Back Bay’s most sought after luxury buildings. Back Bay is one of the most charming, regal and expensive neighborhoods in all of Boston. The area is widely known for its shopping, cafes, walkability, access to The Charles River, restaurants and overall central location. 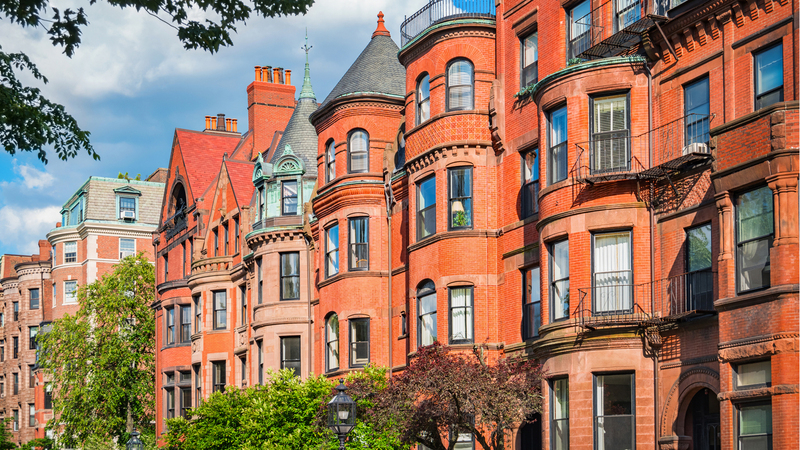 If you are trying to decide which Boston neighborhood to purchase a condominium in, and you want to live in the center of it all while maintaining that “neighborhood charm,” then the Back Bay should be at the top of your list.